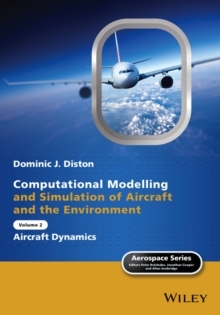 The book covers the mathematical modelling and software which underpin flight simulation. 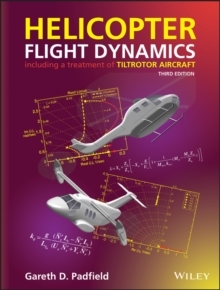 The detailed equations of motion used to model aircraft dynamics are developed and then applied to the simulation of flight control systems and navigation systems. Real-time computer graphics algorithms are developed to implement aircraft displays and visual systems, covering OpenGL and OpenSceneGraph. The book also covers techniques used in motion platform development, the design of instructor stations and validation and qualification of simulator systems. 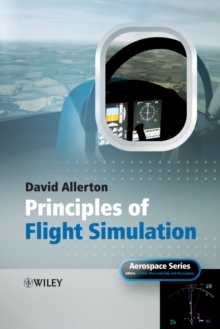 An exceptional feature of Principles of Flight Simulation is access to a complete suite of software ( www.wiley.com/go/allerton ) to enable experienced engineers to develop their own flight simulator - something that should be well within the capability of many university engineering departments and research organisations. Based on C code modules from an actual flight simulator developed by the author, along with lecture material from lecture series given by the author at Cranfield University and the University of Sheffield Brings together mathematical modeling, computer graphics, real-time software, flight control systems, avionics and simulator validation into one of the faster growing application areas in engineering Features full colour plates of images and photographs.